If you're going to throw shade, know your audience. In the ongoing fast food wars, there’s a lot of subtle shade going on these days. Sometimes, the swipes are hilarious, but other times, companies just miss the mark. Wendy’s trolling of competitors on social media has usually been a slam dunk ... but others, well, let's just say they're trying to figure it out. Subway is the latest chain to enter the battleground by releasing a new series of commercials that are trying to take a direct hit at McDonald's. Subs and burgers are pretty different foods to begin with but the spots are rubbing consumers the wrong way. Not only are some rooting for McDonald's after viewing the ads but it seems that many are becoming inspired to order more burgers! In one commercial, a blank screen displays a heart rate monitor showing McDonald’s Golden Arches flashing while the word “burger” is audibly repeated ... many, many times. “Burger after burger after burger,” the ad reads. At the end of the commercial, the monitor flatlines. In another ad, a stand-in Ronald McDonald-type (we never actually see the clown's face) appears to cheat on the Golden Arches by ordering a Subway steak sandwich, sipping from a Subway cup and relaxing poolside with his meal. Of course, this campaign suggests that people should be picking subs over burgers, but social media is greeting this premise with resounding disagreement. I've decided that the new @SUBWAY commercial with the McDonald's heart monitor was made to make me hate sandwiches. Soooo annoying. This @SUBWAY burger commercial may be the most annoying thing ever. Fire your marketing team. That Subway commercial that says “burger” repeatedly is so annoying, that it makes me want to shoot myself in the head with a nail gun. Subway has even taken to apologizing to some on social media who appear to have posted particularly vicious reactions to the new ads. Sorry to hurt you like this. Can you still be friends? Of course, not everyone has turned their back on the sandwich chain. A few are even standing by the new spots and applauding Subway for trying something new. People keep hating on the @SUBWAY ad that trashed talked McDonald's, I think the ad was quite creative and I don't see how people find it annoying. Still not going to Subway as I prefer chicken sandwiches at McDonalds, I don't like their burgers. 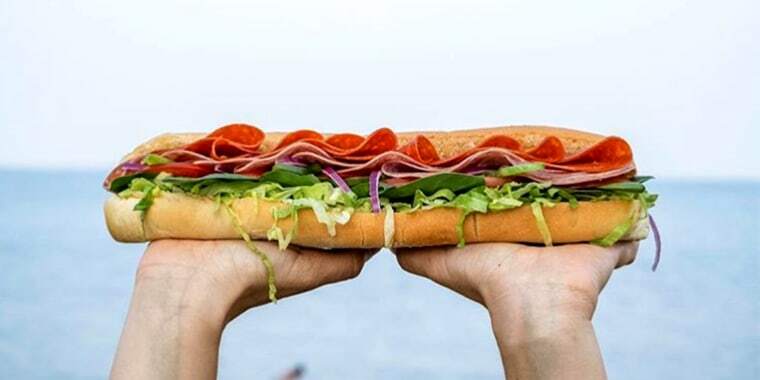 Subway has experienced a few hiccups in the past few years, including a recent decision to get rid of their famous $5 footlong sandwich deal. However, this particular attempt to be the shade-thrower in the fast food wars doesn't appear to be garnering many new fans.